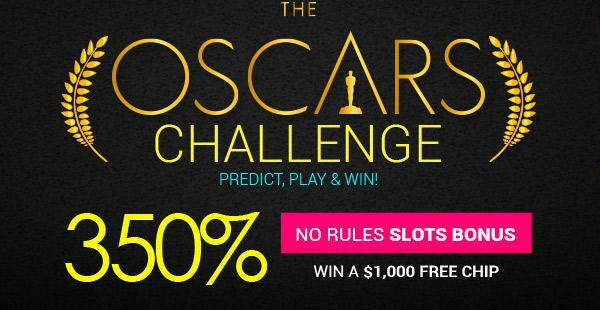 The Academy Awards are coming up and we'd like to offer up a 1,000 USD CHIP to anyone who can accurately predict the winners of the 3 biggest categories in this year's Oscars. Here's How it Works: We have listed the nominations for the three big categories in the 2016 Academy Awards; Best Picture, Best Actor, and Best Actress. Select one from each category by clicking on it's image and then pressing 'continue'. 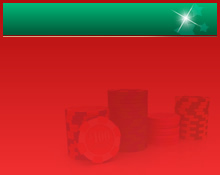 Each combination you choose will create a special 350% NO RULES SLOTS MATCH code specific to that selection. Once you redeem the code (with any deposit of 50 USD or more) your choices will be locked and you will be entered to WIN A 1,000 USD CHIP. Winners of the 2016 Oscars will be announced on February 28th, 2016 at 7pm EST on ABC. Any player to redeem the code associated with the correct winners will be credited with a 1,000 USD CHIP by 4pm EST on February 29th, 2016. If there is anything else that we can help you with, please let us know. Have fun and good luck! Unless specifically stated otherwise, standard rules apply.